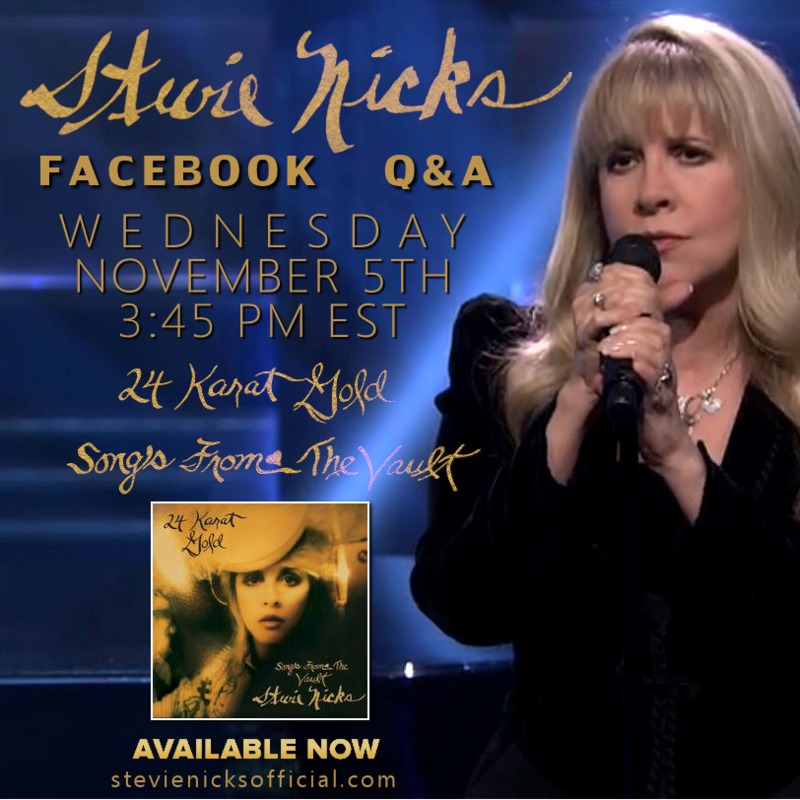 Stevie week continues on Wednesday November 5th with a Facebook Q&A beginning at 3:45pm ET. Tonight she's on The Tonight Show with Jimmy Fallon. Tuesday morning she's on "Today" with Kathie Lee and Hoda (10-11am hour) and now a Facebook Q&A on Wednesday - which is a FIRST!! Head on over to her official Facebook Page... Like it... and check in on Wednesday afternoon. This is pretty exciting actually! She's never done anything like this before. Think of something cool to ask her other than the usual questions which she's answered a million times before. She's obviously promoting the new album, so maybe now that you've had a month to listen to it, you are left with questions about something on the album, or a song... or maybe it's about what she plans on doing in the future solo wise.